The Palais de Tokyo, a place for dialogue and discovery, was created in 2002 and it initiated the reconciliation between the City of Light and contemporary art. Today, its outstanding programs have gained popular favour in France and abroad amongst specialists and the general public alike. With its centre stage positioning across the Seine from the Champ de Mars, the Palais de Tokyo is one of the few buildings of the 1937 International Exhibition that was made to last. This neo-classical style designed building has become a showcase for modern art. Officially opening in that role in 1947, it remained the Musée National d’Art Moderne until the opening of the Pompidou Centre in 1977. Since then, it has hosted various institutions and events, including the Paris Biennial (until 1982), the Musée d’Art et d’Essai, and the National Film School. In 1999 the Ministry of Culture and Communication decided to devote part of the space in the Palais de Tokyo to displaying and promoting contemporary art. Since 2002, the whole of the building, 22,000 square meters, has been used only for contemporary art. 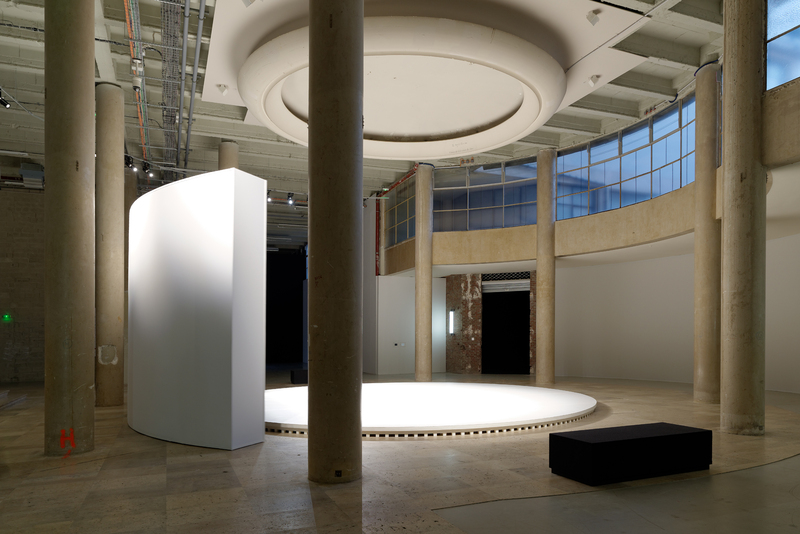 The Palais de Tokyo has succeeded in making itself an essential actor on the contemporary art scene under the directorship first of Nicolas Bourriaud and Jérôme Sans until 2006, followed by Marc-Olivier Wahler from 2006 to 2011. Under the leadership of its new president, Jean de Loisy, the Palais de Tokyo is now widening its scope to serve the French scene by showing it in an international context. Open to artists of all generations, it remains more committed and adventurous than ever. 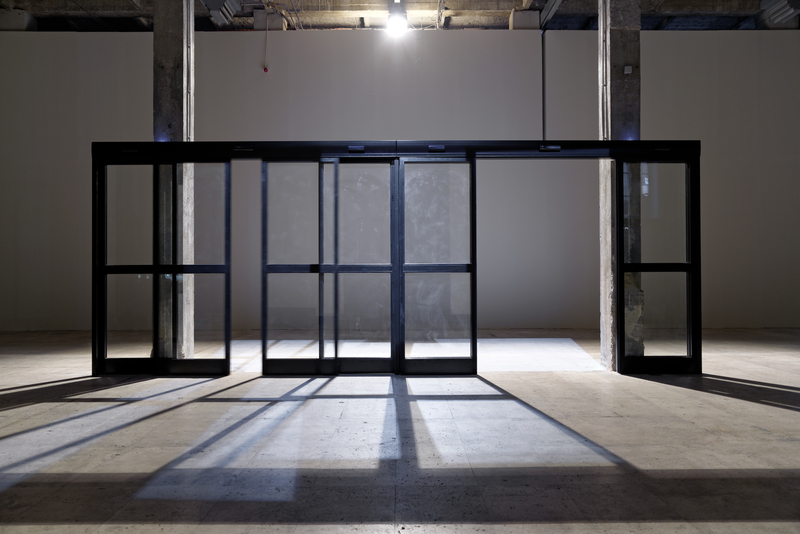 Deep understanding of artists and what they do is what the Palais de Tokyo aims for. The Palais de Tokyo has to be capable of constantly changing its shape, as art itself does. The aim is to invent an ongoing exploratory experience. 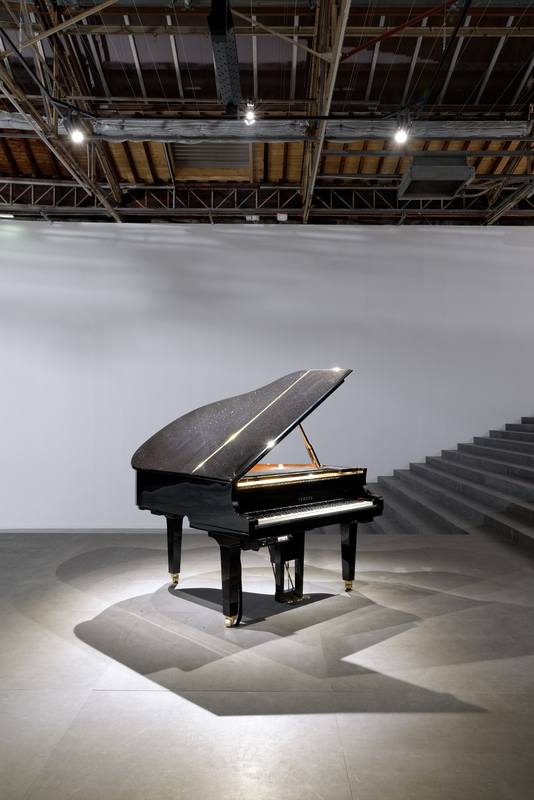 The recent exhibition of Philippe Parreno is a good example. 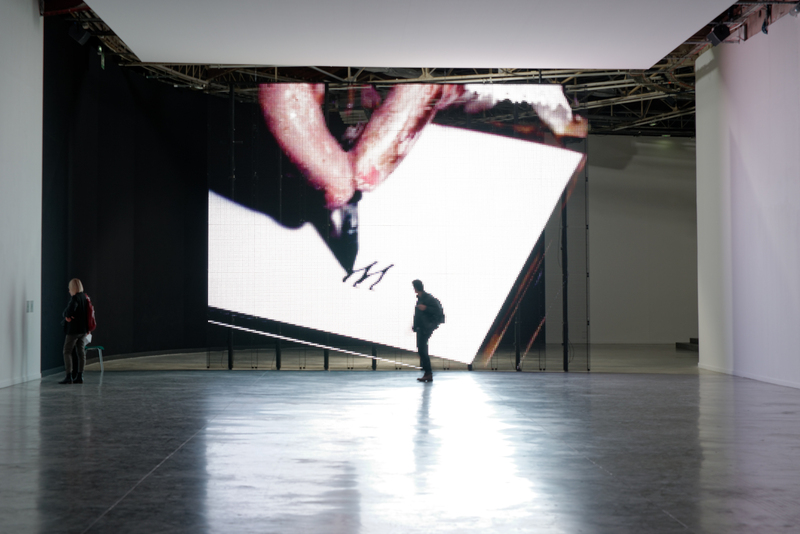 Philippe Parreno, one of the most original figures of the international art world, has radically transformed the Palais de Tokyo into a poetic space. He approaches his exhibition as an artwork in its own right. He turned to different architectural and scenographic techniques that suggest new possibilities for the building – walls, ceilings, floors, lighting, and sound; the entire structure is reinterpreted and reconceived. Movements from Stravinstky’s Petrushka act as the soundtrack to the path he proposes to visitors, who can encounter the ghost of Marilyn Monroe, see live images of a black garden in Portugal, hear the ghostly footsteps of dancers from the Merce Cunningham Dance Company, meet the character Annlee incarnated as a real little girl, walk along a street lit by flashing marquees, and discover a secret passageway in Dominique Gonzalez-Foerster’s bookshelf. The entire exhibition is thus orchestrated and punctuated by the ghost, the spirit of Petrushka, a puppet who, through this partitioning, turns the exhibition into an automaton. As such, the artist – who performs the roles of actor, director, and choreographer, refines the exhibition experience. This orchestration, based on thematic and temporal correspondences with Stravinsky’s composition, highlights the mysterious, secret architecture of the exhibition. It invites the viewer to plunge into a floating world between presence and absence, between forgetting and persistence, transforming the visit into a melancholy-inflected tale. Novelles Vague (New Waves) was a large-scale event organized by 21 international young curators from 13 different countries. This event was a unique opportunity to emphasize the emergence of this new definition of the curator. 53 exhibitions transformed the entirety of the Palais de Tokyo’s exhibition space and spread out throughout the city, putting on display the artists, ideas and situations endorsed by these visionary young professionals. The Palais de Tokyo’s areas not currently featuring exhibits are being used to bring together street and graffiti art in a middle ground between the street and the institution. This experimental space constitutes a collective work-in-progress, regrouping artists from different generations and fields of practice – from those who create their work in empty spaces to the more radical who work only on trains and subways. They come together to explore the constraints of the environment in which they work. There are one day events – Alertes. In each “Alert”, an artist or curator is invited to react to current events like political or economic issues and to present the result of their reflection at the Palais de Tokyo. Through museum education – Mediation – the Palais de Tokyo builds a bridge between art and the viewer. The opening time of the Palais de Tokyo is from noon to midnight, the leisure hours, like cinemas and theatres, and not the times of administration. The Palais de Tokyo made its space a lively and joyful place to stay. There’s a restaurant behind the wall of mirrors that is equally suitable for sociable suppers, business lunches, or artist meetings, and a bookshop that is open until midnight – art must be part of life. This marked a significant shift for Paris. In tune with the public’s leisure time, the Palais de Tokyo invites a more informal and less institutional understanding of how we might experience art. 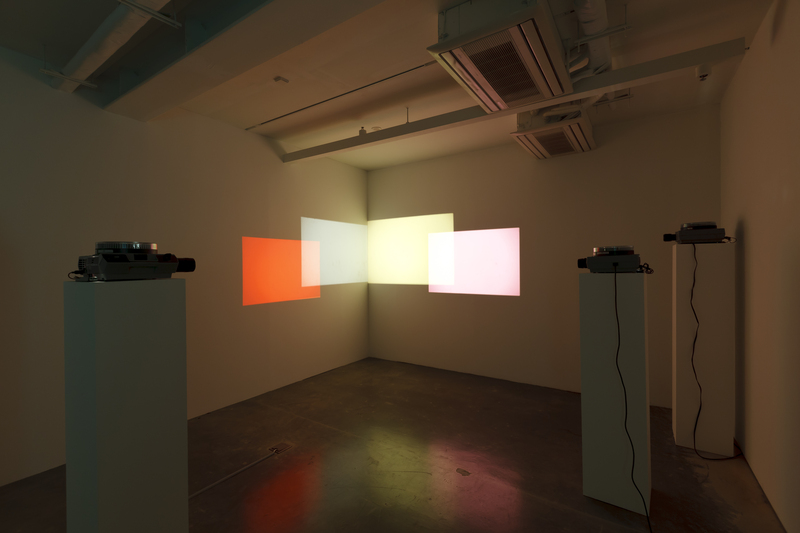 In May 2014, SongEun Art Space will present its third special annual project, titled Italy in SongEun : We Have Never Been Modern featuring promising Italian young artists who are showing for the first time in Korea. The works of twenty-two Italian artists of the younger generations featured in the exhibition are indicative of the way in which Italy’s artistic life has addressed facts and values over the last few decades, calling into question the power that determined them and the discourse that transmitted them. Uninventing modernity – Francesco Arena, Elisabetta Benassi, Rossella Biscotti, Valerio Rocco Orlando, Alberto Tadiello consider the phenomenon of hybridization which has given rise – in the last two decades – to a multifaceted and heterogeneous artistic process that draws equally from the past and the present, for both contents and means of expression. Plurality of worlds – Giorgio Andreotta Calò, Piero Golia, Giulia Piscitelli, Paola Pivi, Luca Trevisani belong to the era of globalization and diaspora, where it is not important to belong to a territorial geography, but rather to be tuned to a conceptual nomadism that can reflect, on every occasion, our existential and creative processes. Parallel cosmograms – Meris Angioletti, Tomaso De Luca, Chiara Fumai, Nico Vascellari go to the heart of the principles that define the most essential truths and the quality of the present time. Policies of nature – Ettore Favini, Margherita Moscardini, Adrian Paci, Moira Ricci are aware of the disappearance of movements and currents; perhaps such orphanage is why artists often cultivate the cult of memory and use expressive forms. Thinking about the present – Francesca Grilli, Adelita Husni-Bey, Marinella Senatore, Diego Tonus’s videos are more like containers of time that is eternally present. The exhibition takes its title from an essay by Bruno Latour in which the French anthropologist of science reflects on the idea of modernity seen as progress advancing rationally and evenly throughout all corners of the earth. At the core of his critical thinking are the paramount issues concerning those Western societies who have imposed their own modern mind-sets on individual local cultures. What does it mean, today, to be modern? Being modern no longer means riding on that time arrow that drew a clear line between the past and the future. On the contrary, more and more art evades the modernist requirement and aspires to a timeless condition while, at the same time, addressing present-related issues or engaging with the more recent history and localized situations that then become the starting point for a range of subjective but nonetheless universal explorations. These are the questions at the core of the project. The twenty-two Italian artists selected for the show were born in the years from 1965 to the mid ’80s and are grouped according to a sensibility that is shared across the generations and to lines of research that appear in the various artistic paths. The aim is that of showing, although not exhaustively, the aesthetic and expressive changes experimented by the latest generation of Italian artists. What emerges is an artistic production in line with other contexts such as: architecture, media, literature, philosophy, anthropology, social sciences and with areas adjoining the field of the visual arts. 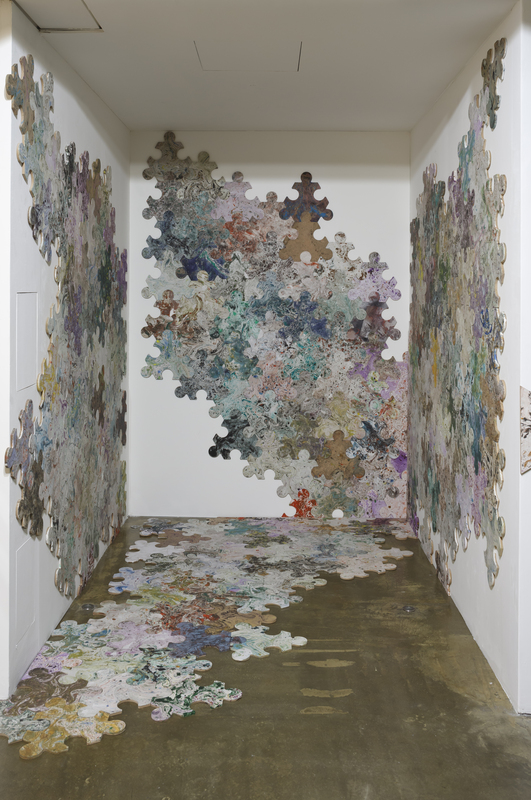 The exhibition will be part of the Italian Cultural Institute in Seoul program to promote Italian contemporary art. Angelo Gioè is Director of the Italian Cultural Institute in Seoul. He serves for the Ministry of Foreign Affairs of Italy and previously has been posted to Cairo, Tel Aviv and Sydney as Cultural Attaché. During his last year in Rome (2012) he was Head of Section of the “Farnesina Art Collection”. He received his M.A. in Classic Philology (main subjects: Greek, Latin, and Sanskrit Aesthetics and Art) from La Sapienza University in Rome; his post Lauream Specialization in Greek Paleography from The Vatican Library (BAV- 2 years); his second M.A as Curator for Contemporary Art and Architecture from La Sapienza University in Rome; and his PhD in Ancient Greek Language from La Sorbonne University in Paris. He was Professor of Latin and Ancient Greek at the Liceo Martino Filetico in Ferentino (Italy) and held the chair of Ancient Greek Language and Literature, and Grammar and Linguistics at the Matela Bela University in Slovakia. He organized several exhibitions internationally. The most recent, Sounds and Visions, was held at the Tel Aviv Museum of Art in 2009. He continues to write articles in the areas of philology, literature, translation studies, and art. Maria Rosa Sossai is a curator and researcher in the field of artistic practices and educational policies. She lives in Rome, Italy. In December 2013 she was appointed artistic director of AlbumArte, space | projects for contemporary art, Rome. She is also one of the founders of ALA Accademia Libera delle Arti, an independent platform for education and contemporary art that conceives the artistic practice as a process of shared knowledge; As an independent curator she worked on projects and exhibitions for commercial galleries, art foundations and museums both in Italy and abroad; among them MAN Museum in Nuoro, Real Academia de España, the American Academy, Fondazione Pastificio Cerere, AlbumArte and Nomas Foundation in Rome, Institute of Italian Culture in Istanbul, the Tel Aviv Museum. She is a contributor to Flash Art, Arte e Critica, Artribune and Shifter; and her publications include Arte video, Storie e culture del video d’artista in Italia (Video Art, History and Culture of Video Art in Italy), 2002, and Film d’artista, Percorsi e confronti tra arte e cinema (Artists’ Films, Writings on Art and Cinema), 2009, both published by Silvana Editoriale, Milan. What are the arts and which are the institutions that represent them in the twenty-first century? MAXXI is the first national museum devoted to contemporary creativity. It is run by a foundation of which the founding member and promoter is the Ministry for Cultural heritage and Activities. The MAXXI design goes beyond the concept of the building-museum. As declared by the architect Zaha Hadid, the museum is ‘not an object-container, but rather a campus for art’, where flows and pathways overlap and connect in order to create a dynamic and interactive space. Entering the atrium, the main elements of the project are evident: concrete curved walls, suspended black staircases, open ceiling catching natural light. By these elements Zaha Hadid intended ‘a new fluid kind of spatiality of multiple perspective points and fragmented geometry, designed to embody the chaotic fluidity of modern life’. 37 exhibitions, 272 events, 40% more visitors than the previous year. These are just a few of the statistics Giovanna Melandri, President of the Fondazione MAXXI presented MAXXI’s 2013 results. Q. We know that MAXXI is the first national museum for contemporary art in Italy. There must have been innumerable discussions, ideas and concepts for the first national museum for contemporary art. What is the main concept underlying MAXXI? Hou Hanru : MAXXI was designed or conceptualized under the influence of the Bilbao effect whereby having a contemporary art museum became a MUST for a country, a national government and the art community. I think we should do more than that and turn it into a truly public institution, or a public sphere, that serves the debate of what a public institution is and the notion of “public-ness” means. How to invent an art institution in this condition through participation of various part of the civic society to continue to preserve the real creative activities and historical heritage is the core concept of MAXXI. More concretely, MAXXI is very closely related to the condition of Rome itself as part of a larger urban transformation project related to the neighborhood, starting with the Foro Italico from the 1920s that marked a period of Italian history: the connection between Fascism and Futurist/Rationalist modernity. The post-war economic miracle symbolized by the new sports infrastructure and the 1990s cultural euphoria, embodied by Renzo Piano’s Auditorium and the continuous political fantasy of having cultural structures such as the new project for the science museum. This condition is profoundly related to the debate of how artistic production and political powers confront each other, and how creation and democracy can interact through a public forum. We must remember that the model of public forum has been core of the Roman society from antiquity till now. Q. MAXXI, the National Museum of XXI Century Arts, was designed by the Iraqi-British architect Zaha Hadid and built on former military land on the northern side of Rome. It is well-known that the design process took 4 years and the construction a further 6 years. The same architect designed the Dongdaemun Design plaza in Seoul currently under construction. What is special about the architecture of MAXXI and what meanings do the MAXXI spaces carry? Hou Hanru : Zaha Hadid’s building is very challenging as it derives from the Bilbao effect and is a typical image of how our world is transforming from stable social democratic modernity to a neo-liberal society. Not only museums, but also urban society and the value of life are being dominated by the capital. The art world as a whole is facing this transformation as well as cultural institutions. The bold design is both an ideological and a physical challenge. It is a neo-liberal fantasy imposed by a generation of architects who have been fascinated by this “newness” of capitalist boom. It is interesting but it presents challenging conditions for artists and for the curatorial team. It imposes constant negotiations with the society of the spectacle and the preservation of the cultural and intellectual integrity of artistic creation. In this condition we understand that we need to work both with the building and against the building. Q. 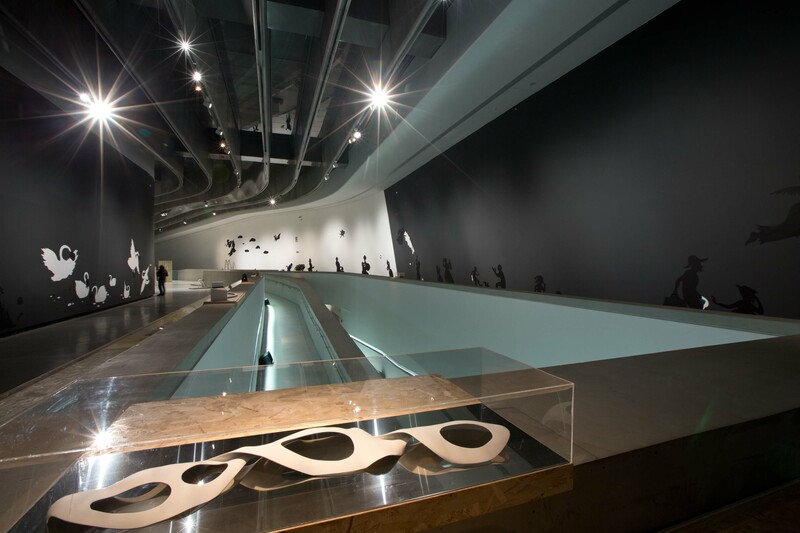 Since the Museum has opened in May 2010 many tourists have visited MAXXI. 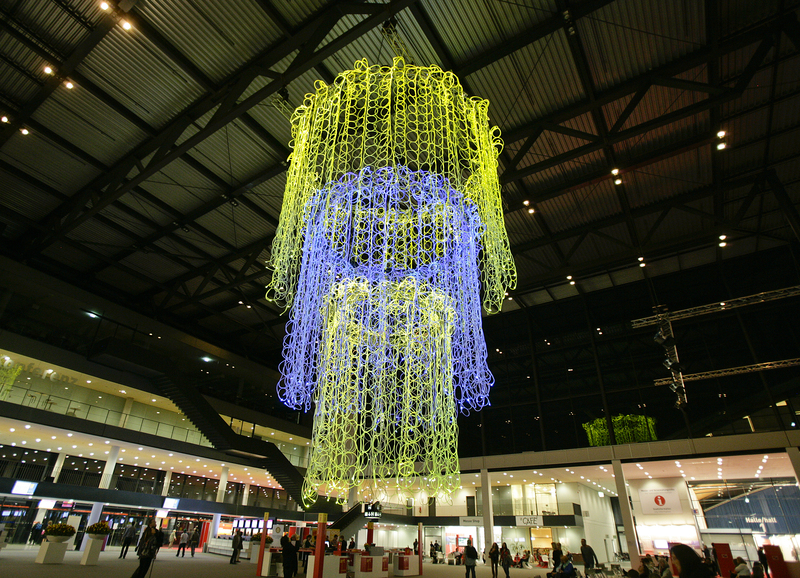 What kind of marketing strategies did MAXXI use to draw tourists’ attention? Could you describe some of them? Giovanna Melandri : At MAXXI we are stubbornly convinced of the centrality of the artistic experience in the lives of all, and for this reason we would like to satisfy everyone. 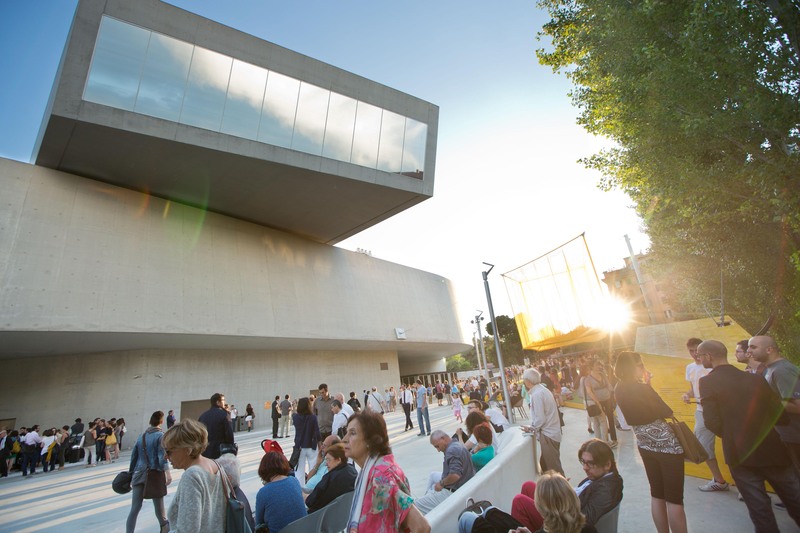 With around 300,000 visitors in 2013, up by over 40% on 2012, MAXXI reinforced its role as a cultural reference point for Rome, Italy and internationally.From the end of June 2013, its piazza was visited and utilised by around 245,000 people, an average of 1,500 a day, further confirmation of its vocation as a public space open to the city and as a meeting place. With workshops and activities associated with the exhibitions, our education department has attracted over 7,000 young people, adults and children. In 2013, MAXXI adopted a new promotional strategy reaching out to diverse target groups thanks to the widespread distribution of informative material about the museum at over 150 places of tourist interest in Rome, 28 agreements both with operators capable of involving similar target groups to those of MAXXI and with other cultural operators (other institutions, publishing firms, theatres and festivals) for the coproduction of joint activities designed to reach people not generally attracted by the contemporary. Moreover, 20 ticket office promotions have been activated on special occasions to incentivize museum visits while the importance of the incoming tourism system has been recognised through agreements with international tour operators specialised in particular in groups from Russia, China, India, the United States and France. The objective is to insert within 2015 MAXXI and its public services in the international catalogues of the principal tour operators. Q. Korean National Modern Art Museum is now opening branches outside Seoul to expand space. Does MAXXI have any plan to open a branch in another city? Giovanna Melandri : At the moment, we have no plans to open MAXXI branches around the world; we are a young institution working to establish itself on both the national and international levels. Q. Is MAXXI sponsored by the city or central government? What is the general management system of MAXXI? Giovanna Melandri : MAXXI is the first national museum devoted to contemporary creativity.It is run by a foundation of which the founding member and promoter is the Ministry for Cultural heritage and Activities. The 2013 budget was in the order of 10 million Euros, of which 60% was state funding. The remaining 40% came from self-financing with a 30% increase in sponsorships and individual fund raising. In 2013, thanks to renewed spending controls there was a significant redistribution of resources in favour of cultural activities, from 28% in 2012 to 43% in 2013, while overheads were reduced from 72% to 57%. In the other European countries, state funding of the national museums is greater than that received by MAXXI, but 2014 will be a significant year due to the fact that thanks to the Cultural Value Decree, the museum will enjoy guaranteed state funding of 5 million Euros a year. In a period of crisis we have placed the public at the forefront, believing that one of our institutional missions is to support cultural consumption with concrete actions such as discounts and promotions. The challenge that I have taken up together with the board of directors composed of Monique Vaute and Beatrice Trussardi (one of the few boards of directors with a female majority in Italy) is very clear:to demonstrate that MAXXI – a private foundation – is capable of establishing a robust partnership between public and private and an appropriate management model for a major cultural body in Italy. Q. Does MAXXI have any projects for interacting with society; for example, any regular programs for students or children? If yes, what kind of programs have been organized? Hou Hanru : We have a very active educational program and a very rich public program that covers many fields – not only art and architecture but also music, movies and technology. MAXXI has a public space outside the building that has over time become a major platform for activities for the local community. We are working intensively to improve communication of our exhibition program and the collection to the public through diverse activities including collaborations with schools and urban communities and collaborations with other institutions in the city and around the country. For example, we are developing a mobile museum program that takes the collections to different schools. Q. Looking at the exhibitions MAXXI has staged until now, what exhibition would you particularly like to introduce and why? 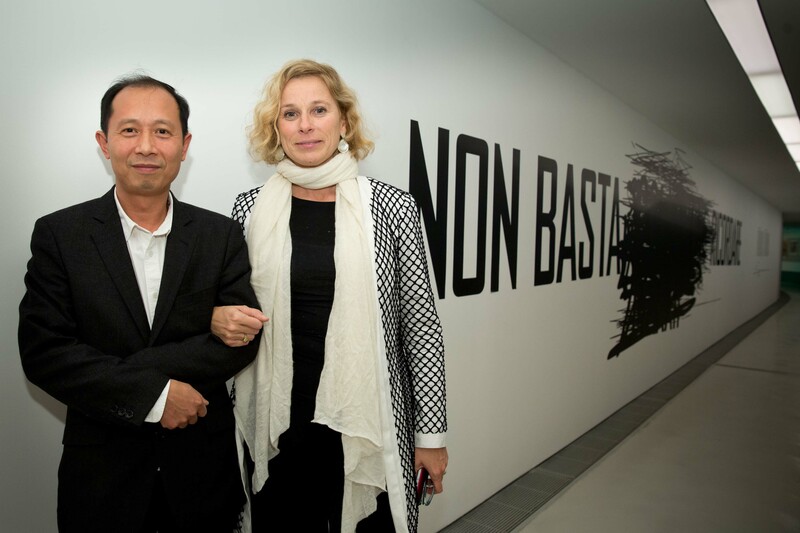 Hou Hanru : The MAXXI program has been constructed as an organic system: all exhibitions interact with each other based on serious research on the evolution of creations both in Italy and abroad. The art scene and the architecture scene interact. We have a very interesting collection of contemporary art and architecture with the potential to become an inspiring resource for exploring the questions of our time. The current presentation of our collection under the title Non Basta Ricordare (Remembering is not enough) substantially reflects a new approach to the relationship between the collection and actuality. Understanding the collection and the institution as a starting point for future developments and artistic and architecture creations. MAXXI has also organized numerous projects placing the Italian creative scene in the international context, with close collaborations with other institutions: projects like Indian Highway in collaboration with Serpentine Gallery, or the Michelangelo Pistoletto show in collaboration with Philadelphia Art Museum, exhibitions like Erasmus Effect that shows how the Italian contribution to the global scene has been realized. For the future we are continuing to develop our program in this direction with a deeper understanding the role of Italy in the world in relation to the dynamics of the Mediterranean region. A series of projects will be developed in this sense: the first exhibition of contemporary art in Iran is coming at the end of this year as well as collaborations with Korean institutions. Q. As the director of MAXXI what is the most important factor in organizing exhibitions? Q. Do you know any Korean modern art galleries or museums? Which one do you find most interesting ? Hou Hanru : Korea has a very active art and architecture scene. The Institutional engagement with contemporary art and architecture are highly dynamic. I personally have worked with many of them: Gwangju Biennale, Busan Biennale, the Samsung Museum of Art, etc while a lot Korean artists and curators are my friends and collaborators. They are all playing important roles on the Asian and international scene today. Q. How does MAXXI cooperate with other international museums? Are there any projects organized or planned with other contemporary art museums? Hou Hanru : We are working very closely with other international museums. For this year, let’s just name a few: MOMA New York, Musée d’art modern de la ville de Paris, Istanbul Modern, Red Brick Art Museum in Bejing, Cite’ de l’Architecture and CCA – Canadian Center of Architecture, etc. Almost all our program is related to other international organizations. Q. MAXXI’s name refers specifically to the 21st century. In your opinion what kind of museums will exist in the 22nd century and what will be their role? Hou Hanru : Let’s hope there are still museums in the XXII century. With over 220 exhibitors and roughly 50,000 visitors, art KARLSRUHE is Germany’s biggest fair for classic modern and contemporary art. Word soon spreads of its success and gallery owners’ satisfaction. So it comes as no surprise that there were numerous new applicants for the eleventh event. 38 galleries won over the council and the curator Ewald Karl Schrade with their stand design. Amongst those taking part in 2014 for the first time is Erika Költzsch with the Galerie Haas from Zurich. She sums up her motivation to participate in art KARLSRUHE quite succinctly: “The visitor and buyer potential is big in southwest Germany and there are very good collectors in Baden-Württemberg and Rhineland-Palatinate,” an aspect also likely to have played a major part for the other newcomers, half of them from outside Germany. The fact that meanwhile every fifth gallery at the Karlsruhe art fair comes from abroad is clear evidence of the event’s reputation beyond the borders of Germany. Stands in the dm-arena are highly sought-after amongst the new galleries. Almost every one of the new applicants had applied for this particular hall. 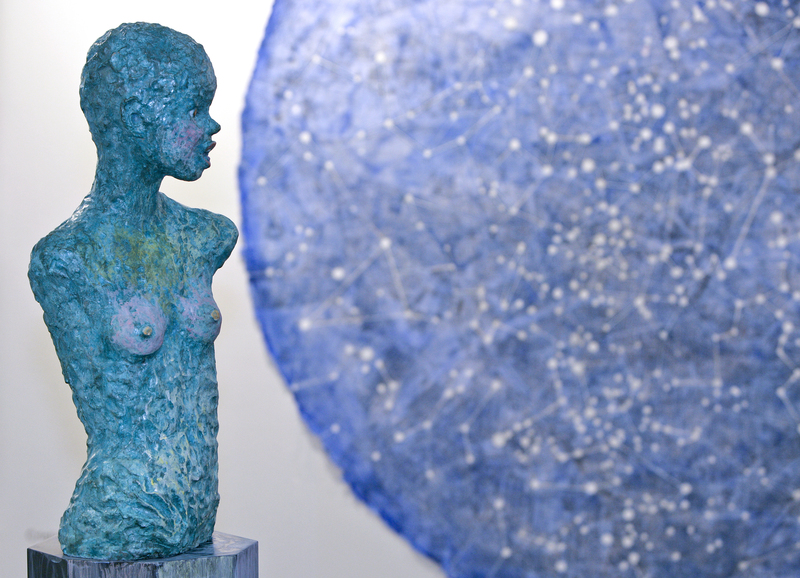 Under the title of “Contemporary Art”, the art fair’s portfolio is enriched by galleries like Rothschild Fine Art from Tel Aviv, the Eva Meyer gallery and Lee gallery from Paris, and the Flowers gallery from London. Also taking part for the first time are the Hasenclever gallery from Munich, the Stefan Hildebrandt gallery from St. Moritz, J&P Fine Art from Zürich, and Nuovo Gallery from Daegu, Südkorea, all of which can be found in Halls 2 and 3. The internationally active galleries of Kornfeld from Berlin and Stephen Hoffman from Munich are making their first appearance in Hall 1 where captivating photography and objects are displayed in the “Limited” section. Exquisite limited editions are to be found here, too. The new exhibitors in this segment include Werner Bommer from Zurich, 2C for ART from Salzburg, and Chiefs & Spirits from Den Haag. For the first time, The National Museum presents a solo exhibition of works by Aase Texmon Rygh, one of the most important pioneers in modern Norwegian sculpture. “Aase Texmon Rygh. Modernism Forever!” demonstrates the wide range of Aase Texmon Rygh’s work, including sculptures from the 1950s up to the present day. Sketches, models and other documentation material from her lifelong artistic career convey the story of one of Norway’s first sculptors to be concerned with abstraction. The sculptor Aase Texmon Rygh, born in 1925 in Norway, lives in Oslo and studied in Copenhagen and Oslo. Her studies at The Royal Academy of the Fine Arts in Copenhagen at the end of the 1940s, as well as a trip to Paris in 1950, were important steps on the road ahead. In Denmark, sculpture had evolved in the same direction as painting through abstraction and simplification. In Paris she was able to experience European modernism and, perhaps equally decisive, the simplified shapes of ancient sculpture in the Louvre. Much like British contemporaries Barbara Hepworth and Henry Moore, Aase Texmon Rygh explored the shape of the abstracted and simplified human figure in the 1950s and 1960s. Over the course of several years she developed an abstract language where motion and gesture played a central part. Later in her career she left the human figure behind altogether, and developed a purely abstract formal language as she became interested in concepts of stability, perpetuity and eternity. 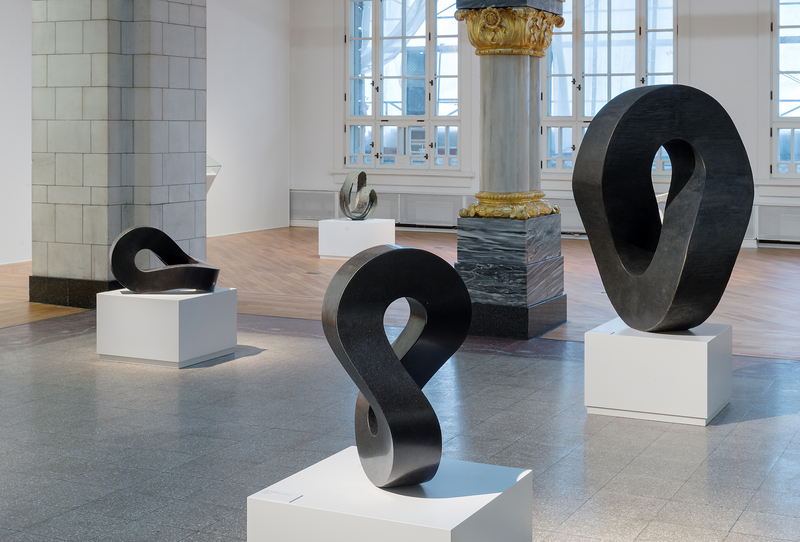 Texmon Rygh is particularly known for her Möbius sculptures, a series of works characterised by a highly simplified and condensed form of expression, based on the mathematical Möbius shape. Texmon Rygh subscribes to the principle of less is more. Nothing is left to chance, and great attention is given to the properties of the material. 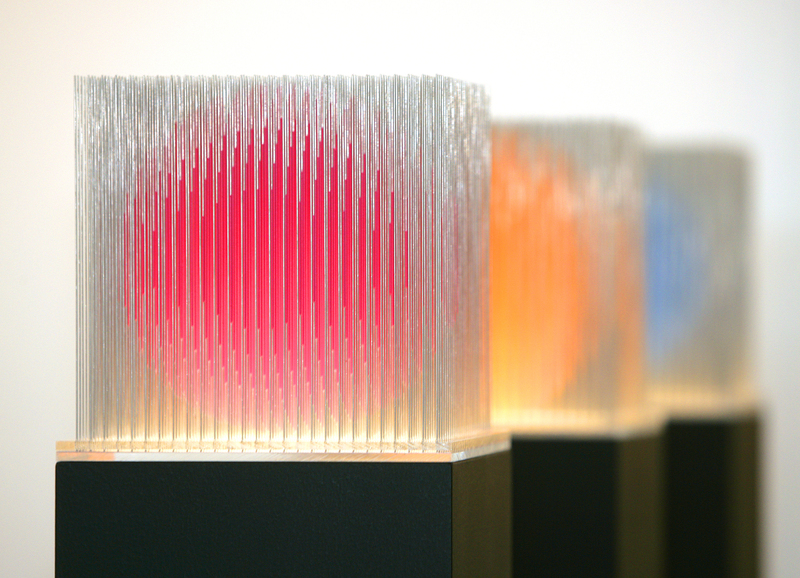 Texmon Rygh’s abstract sculptures were for a long while ignored by her contemporaries. 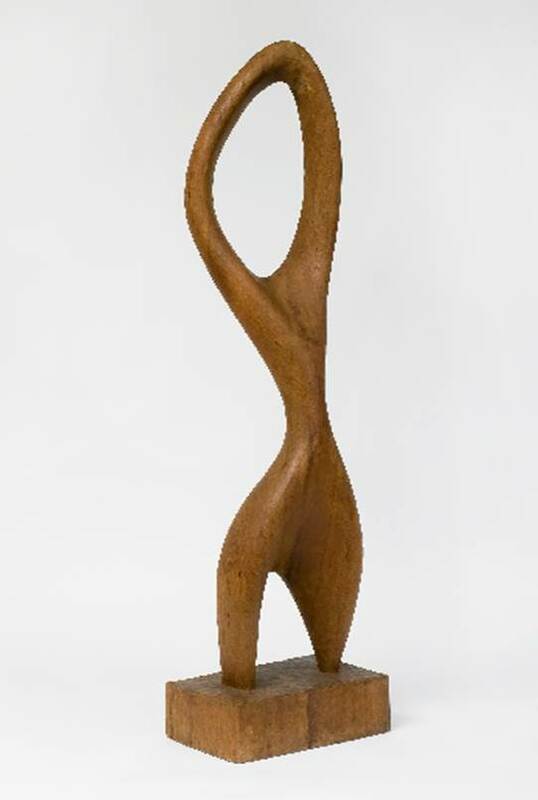 The Association of Norwegian Sculptors was founded in 1947, but Texmon Rygh was rejected several times before she was finally granted membership in 1963. 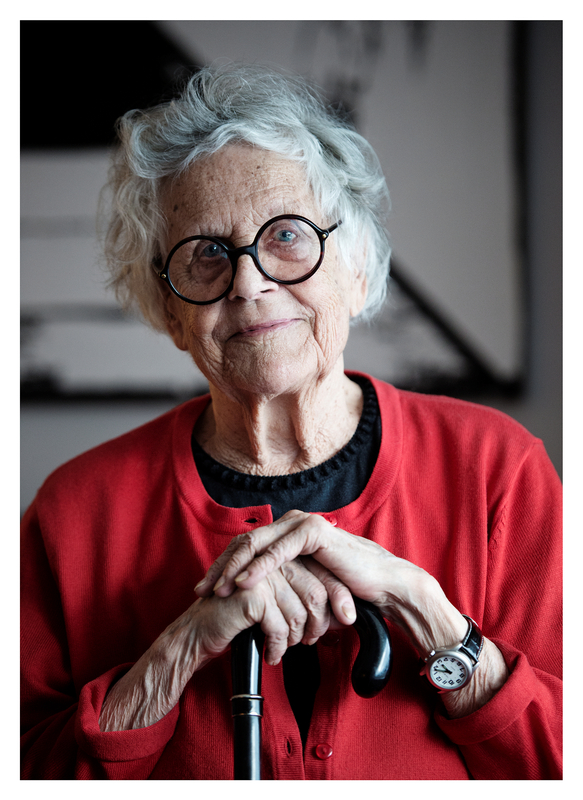 Her ambition was to liberate herself both from traditional sculpture and from a conservative fellowship of Norwegian artists, and this struggle would ultimately prove successful. In recent years, Texmon Rygh has received increasing national and international recognition. In 2001 she was appointed Officer of the Order of St. Olav, and in 2012 was represented at the leading international art exhibition dOCUMENTA 13 in Kassel, Germany.